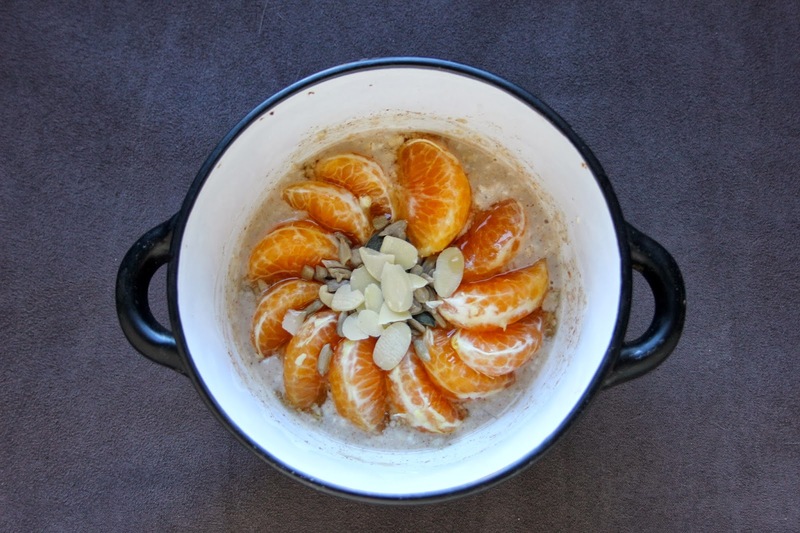 I think this will be the last of the recipes in the Baked Porridge Series. I may come up with more recipes in the future, but for now I want to move on to other projects – such as my next e-books. How does a chocolate or Christmas recipes book sound? I hope you’ve enjoyed my recipes – if you have tried any, do send me a photo via Twitter, Facebook or email. I’d love to see your creations! And if you haven’t seen the previous recipes in the series, just take a look here, here and here, and oh, why not here and there, too. Pre-heat the oven to 180ºC (356ºF). 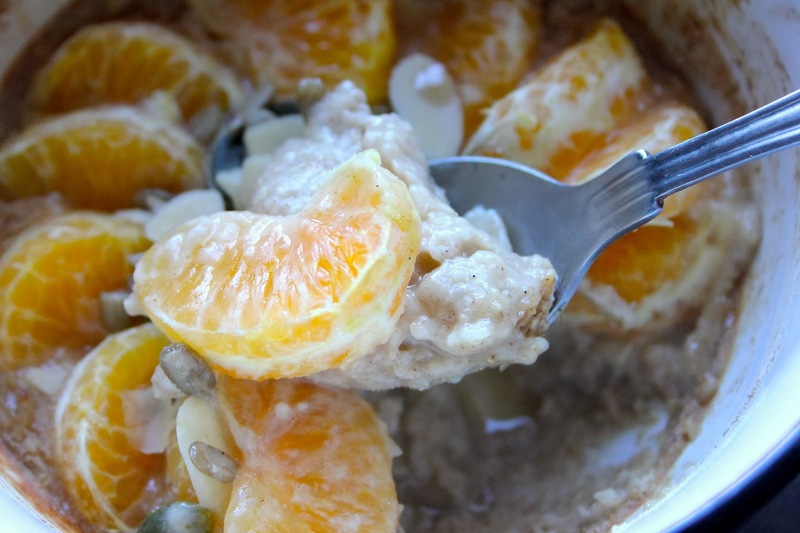 Mix the oats, almond milk, spices, syrup and vanilla in a small oven-proof bowl. 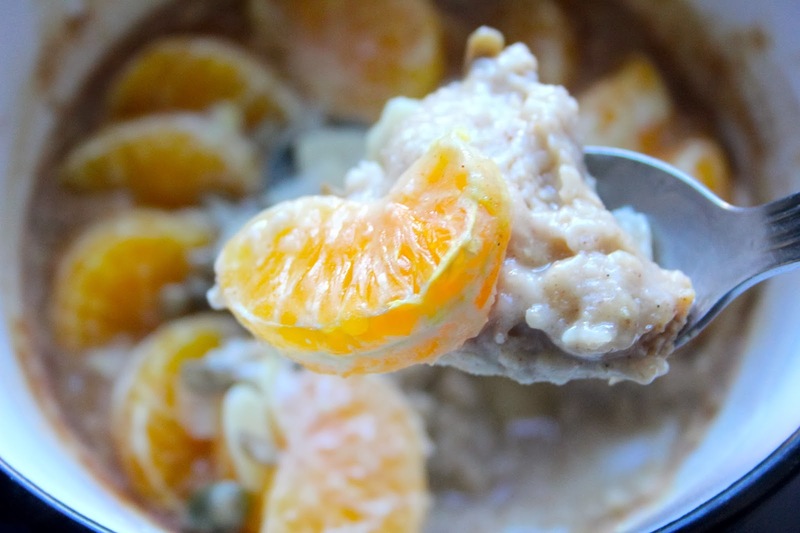 Display the clementine segments in a circle or star-shape on top of the porridge. Drizzle over the maple syrup, sprinkle the seeds on top, and pop in the oven for 15-20 minutes. Cool for a few minutes before digging in. 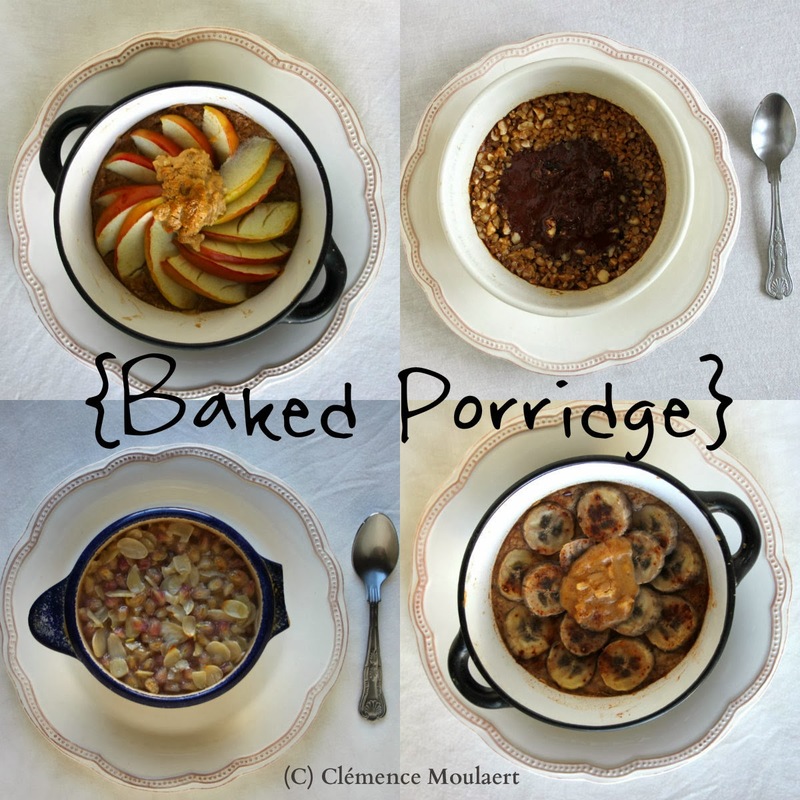 Which was your favourite of the baked porridge recipes in this series? Speaking of clementines, I can’t stop devouring them daily in Paris, sweet and tangy. They were imported from an island of Corsica. 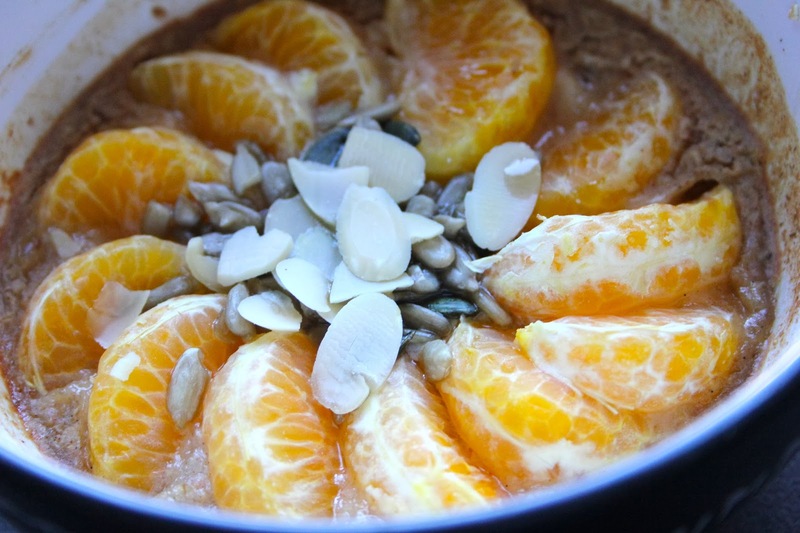 I’ve never had them in my baked porridge, but after looking at them, I must try! They go so sweet and juicy and caramelised when they're baked. It's Christmas in porridge version.